Until Sunday, you can get the Ryzen 7 1700X and MSI Radeon RX 580 Armor 8G OC for $340 combined, after a $20 rebate. If you’ve been waiting for just the right time to overhaul your PC, Newegg’s offering some mighty enticing discounts on an AMD Ryzen CPU and Radeon GPU that would make solid cornerstones for a powerful gaming and productivity rig. The AMD Ryzen 7 1700X processor is $150Remove non-product link, and the MSI Radeon RX 580 Armor OC is $190Remove non-product link, each after a $20 mail-in rebate. The CPU is $50 off Amazon’s current price and about $30 under the historical low. It’s a similar story for the RX 580, which is $35 cheaper than it was just a few weeks ago. The $150 Ryzen 7 1700X is an 8-core, 16-thread processor that hits up to 3.8GHz but can be overclocked, unlike rival Intel chips. This particular chip doesn’t come with a CPU cooler, but you can always pick up our trusty go-to, the Cooler Master Hyper 212 Evo, for $30 on Amazon. An even better plan would be to keep your eyes peeled in the coming weeks for a Black Friday price on a new CPU cooler from stores like Amazon, Newegg, and TigerDirect. We didn’t review the Ryzen 7 1700X, but we did set it up against Intel’s Core i7-8700K in that CPU’s review in October 2017. Overall AMD’s chip fared really well, and while it’s a bit behind the Intel option in gaming workloads, it still holds up just fine for play, and the Ryzen 7 1700X excels at work thanks to its abundant cores and threads. That’s especially true when you see the 8700K still costs well above $300. 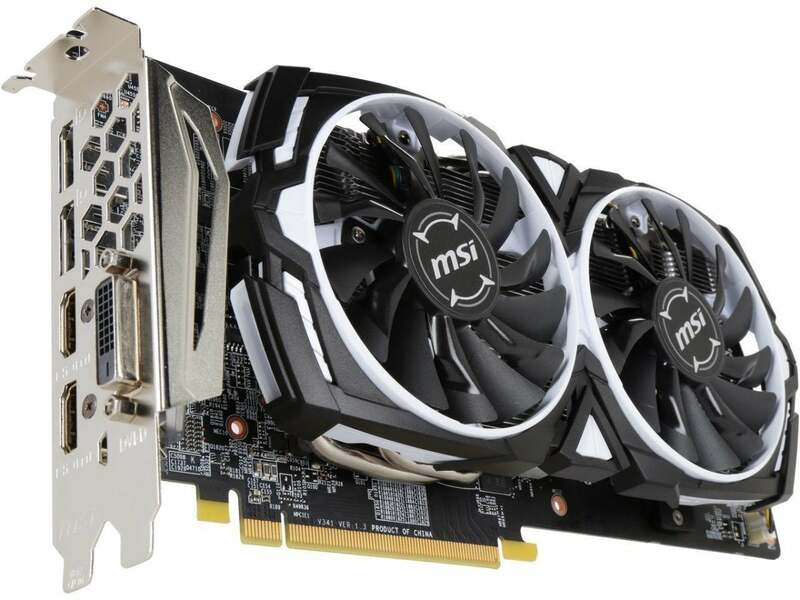 As for the 8GB MSI Radeon RX 580 Armor OC, it’s a great choice for 1080p gaming with graphics settings maxed out, and thanks to its hefty memory capacity, it holds up pretty well at 1440p gaming if you don’t mind dropping the eye candy from Ultra to High. I just bought one for myself a few weeks back, and at a higher price.